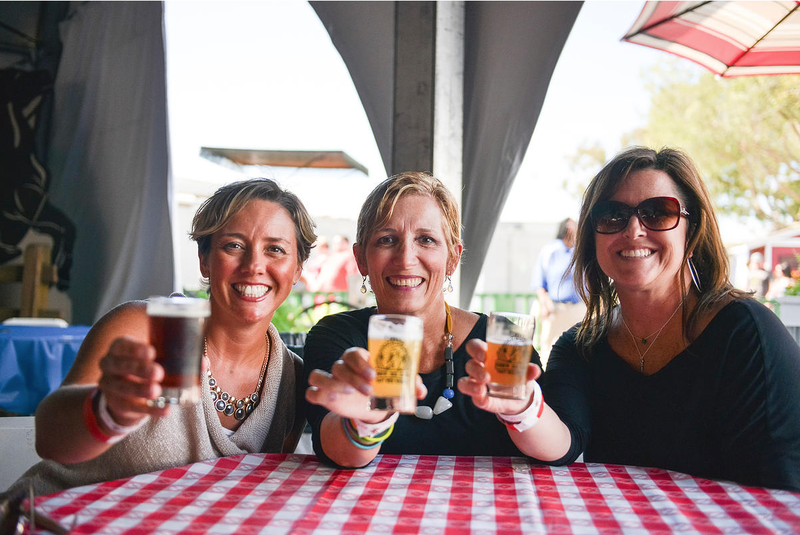 This weekend the 2nd Annual “Brew Hee Haw” Craft Beer Roundup is happening at the first weekend of the OC Fair! This event will be on Saturday and Sunday, July 18-19 at the OC Fair for opening weekend!! 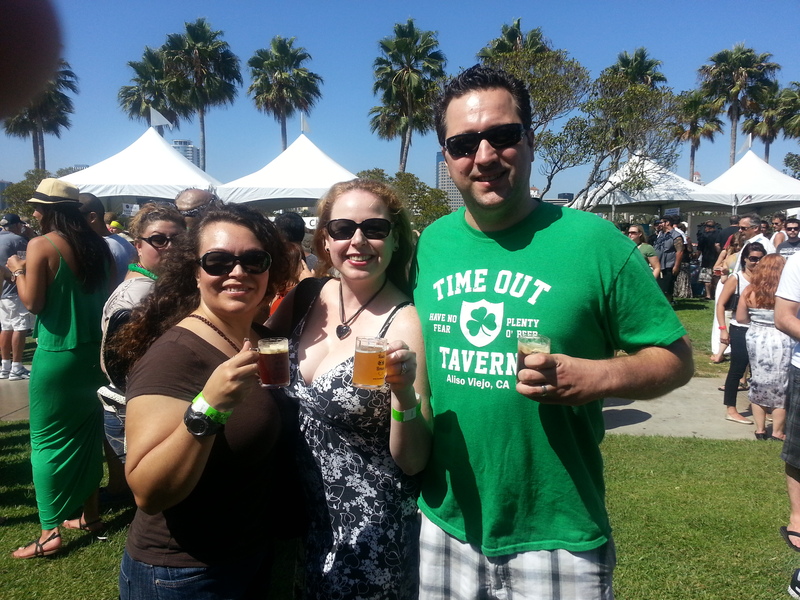 Brew Ha Ha Productions is the creator of the most award winning craft beer festivals in Orange County throughout the year and I cannot wait to be a part of this event! 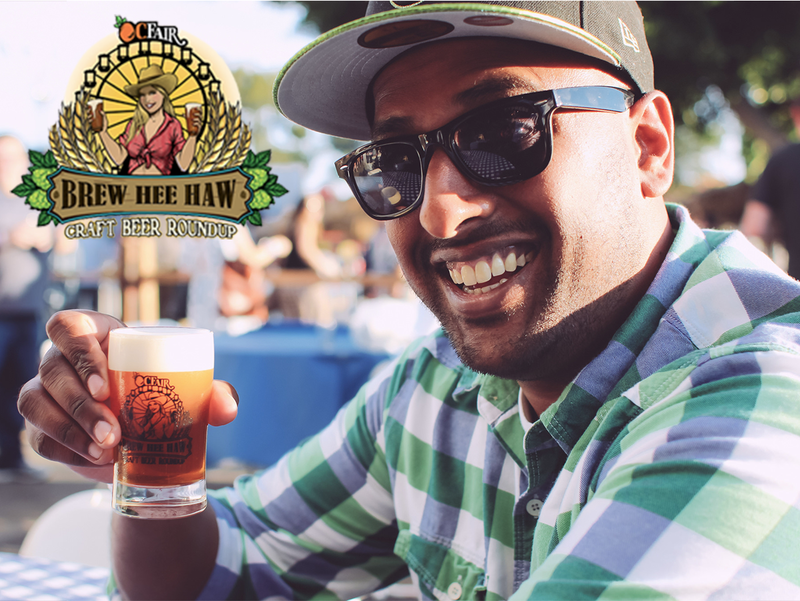 The Brew Hee Haw offers day and evening tasting sessions and admission to this event also includes FREE admission to the OC Fair, a commemorative festival glass and special presentations by “Dr.” Bill Sysak, Craft Beer Ambassador & Certified Cicerone (like a ‘Sommelier’ for wine), at the famous Stone Brewing World Bistro & Gardens. 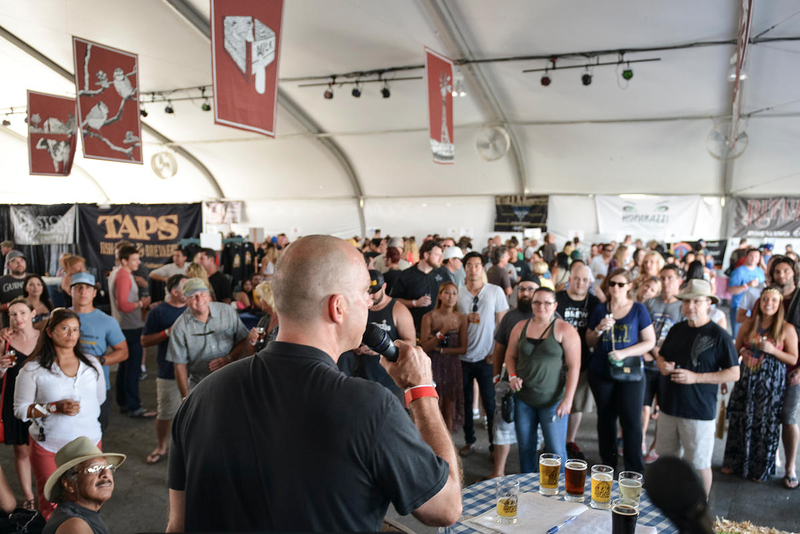 The craft beer industry of Orange County has grown significantly in the past few years and is now the home to 35 operating breweries and there are even more opening in the near future!! The local breweries in the OC have unified together to create the Orange County Brewers Guild (OCBG) to spread awareness about the local and fresh craft beer available to bars, restaurants, and the general public. 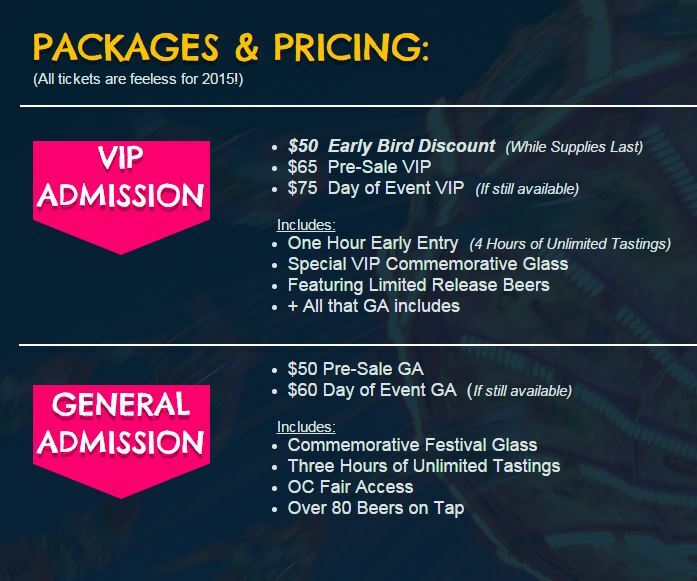 This year there will be an additional VIP hour that was not there last year which will be one hour prior to the General admission session and it will be feature rare and limited release beers, as well as a unique VIP tasting glass! 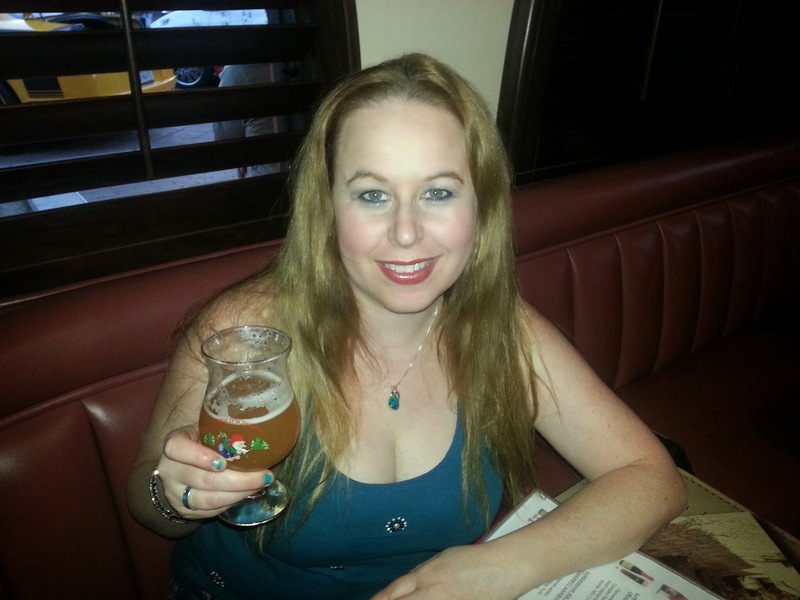 At the 2nd Annual OC Brew Hee Haw unlimited 2 oz. 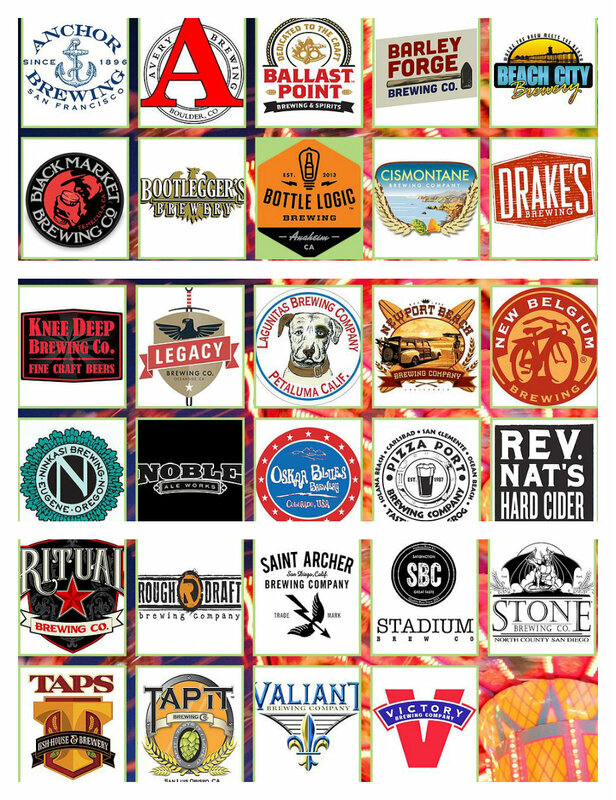 pours from more than 80 craft beer selections from some of the best breweries in the county will be included! For this event, there will be 2 VIP sessions being offered on Saturday, July 18th (12-4 p.m.) & (5-9 p.m.) and one on Sunday, July 19th (1-5 p.m.). Two GA sessions are offered on Saturday, July 18th (1-4 p.m.) & (6-9 p.m.) and one on Sunday, July 19th (2-5 p.m.), so there are many different times available to enjoy this awesome event! See all prices for tickets below. A portion of the proceeds will benefit the Big Brothers and Sister of Orange County. To purchase Brew Hee Haw tickets, please visit their website HERE. There will be a wide selection of unlimited tastes from a variety of different beers, such as Pale Ales, IPA’s, Stouts, Saisons, Hefeweizens and more! 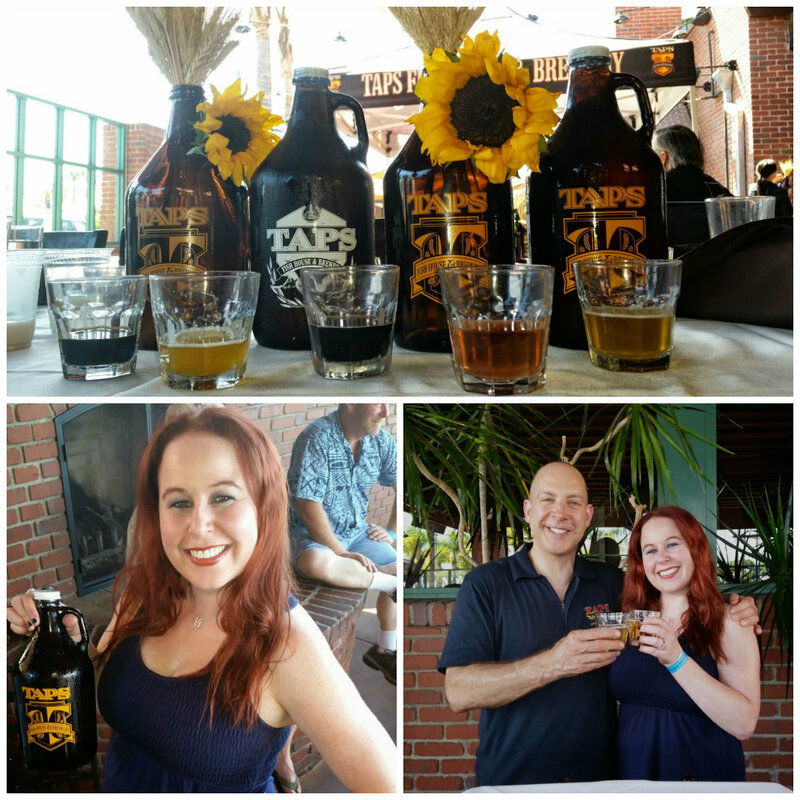 Some of my favorite breweries participating include Taps, Good Beer Company, Beach City Brewery, Hangar 24, Mike Hess, Newport Beach Brewing Company and more!! This is a “rain or shine” event & no refunds will be given, but I do not think you have to worry about that because the California sunshine is always aplenty! 🙂 This is a 21+ event & proper identification will be required to enter the event. Brew Hee Haw pass holders are encouraged to enjoy all that the OC Fair has to offer and are free come and go during their sessions. Hope to see you there!! Come say hello if you see me! 🙂 Cheers! Also, if you have not had the opportunity to enter my contest to win FREE tickets to the OC Fair, please enter my contest HERE. A winner will be selected on July 23. Please also check out my article about how to get $3 Fair admission on another day if you take the Metrolink Train at the OC Fair Express. You can find those details HERE. Have a great time at the Fair!